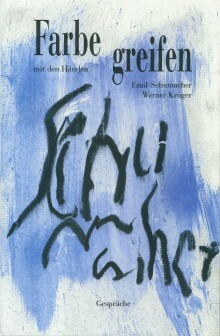 This book was published to celebrate Emil Schumacher’s 85th birthday. Ten years before, Werner Krüger had already published a filmed portrait of the artist for his 75th birthday. Schumacher and Krüger shared a long friendship, which they nurtured with an open and regular exchange of ideas. The conversations that are presented here were conducted in Hagen and Ibiza in 1997. 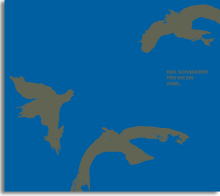 In them, Schumacher shows himself not to be a disciple of theory and conceptual superstructure. When he speaks about art, it is with the experience of a painter who daily wrestles to produce good paintings, and who is familiar with all the ups and downs of an artist’s existence. Too much self-assuredness is suspicious to him, humility an indispensable virtue. "Painting is a ritual of evocation," Schumacher says, "the painter needs to breathe soul into the material by touch." This book was published in a limited, signed edition of 1,000 pieces. The pages are all illustrated with writings by Schumacher and signed by him in the back of the book. The last copies of this book still in the possession of the Emil Schumacher Foundation are now available as part of the celebration of Emil Schumacher’s 100th birthday. Illustrious artists’ names and internationally respected works as well as unknown and recently discovered finds: the Ruhr metropolis is rich in public art treasures, which are presented here for the first time in a comprehensive compendium. The spectrum ranges from Robert Adams via Dan Flavin, Markus Lüpertz and Richard Serra to Günther Zins, from traditional figural sculptures to landscape design, and from kinetics to Pop Art and light installations. On more than two hundred pages this elaborately designed volume presents one hundred large-format illustrations, accompanied by explanatory texts and artists’ biographies as well as a comprehensive city index. 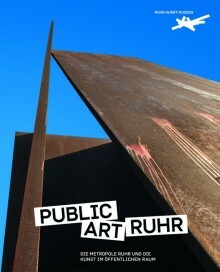 This book is warmly recommended to anyone who wants to track down public art in the Ruhr region. 232 pages, 102 images in full colour, 24 x 29 cm, € 29,80. The bird motif shows up in both the early and the late work of Emil Schumacher. Apart from literary sources, nature was the artist‘s main stimulus and source of inspiration, even if the numerous figurations in his late work were usually highly abstract pictorial creations – sketched rapidly and realised in a spontaneous, masterly manner. The book presents the first cohesive overview of the subject matter based on early drawings, paintings, lithographs and linocuts and late gouaches. 72 pages, 66 images in full colour, Leinen-Einband , € 19,90. With loving care Emil Schumacher (1912 - 1999) has interpreted the fairy tale "Snow-White and Rose-Red" by Jacob and Wilhelm Grimm. Twelve watercolour paintings accompany colourful the eventful fate of the siblings. 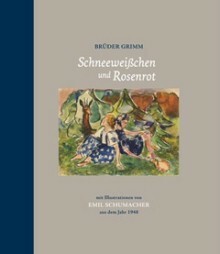 Celebrating the 200-year anniversary of the Grimm brothers´fairy tales and the 100th birthday of Emil Schumacher, this is the first re-publication of these rarely seen works. In the afterword Rouven Lotz describes their creation in detail. The combination of text and illustrations makes this in interesting volume both for children and lovers of art books. 28 pages, 17 images in full colour, half linen, € 14,80.